AUCTION DATE: THURSDAY, NOVEMBER 21, 2013 – STARTING @ 11:00 A.M.
2) 2006 HAAS VF-2SS CNC VMC, 12,000 RPM, HIGH SPEED TOOL CHANGER, 24 ATC, CT-40. S/N: 1053136. 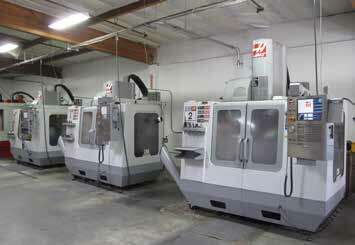 2002 HAAS VF-2SS CNC VMC, 12,000 RPM, 24 ATC, SIDE MOUNT TOOL CHANGER, CT-40, S/N 30392. EXCEL PMC-5V-T20, CNC VMC, FANUC OM COTROL, 20 ATC, SWING ARM ATC, 40 TAPER. TRAK DPM CNC MILL, A.G.E. 3, 3 AXIS CONTROL, S/N 00-BF10762. HAAS 5C SERVO INDEX, CT 40 TOOL HOLDERS, KURT VISES, TOOLING, INSPECTION AND SUPPORT. HYD MECH PNF-350 AUTO COLD SAW, 14’’ BLADE, PNEUMATIC CLAMPING. MSC 9’’ HORIZONTAL BAND SAW. BINKS 8FT X 8FT X 8FT MODERN GAS FIRED CURING OVEN, 500 F MAX TEMP, DIG CONTROLS. PAINT BOOTH VENTLESS, 7FT X 8FT X 7.5FT, DRY FILTRATION SYSTEM. 2) SAMAES AND GEMA POWDER COATING GUNS, AND SUPPORT TOOLS. QUINCY 15 HP ROTARY AIR COMPRESSOR, MOEL QMB15AC122SF. LOGAN LATHE, SMALL TOOLS, TOOLING, BENCHES, AND SUPPORT. 2000 CHEVY DIESEL 14FT BOBTAIL TRUCK, WITH 118,000 MILES, AUTO.